Ricardo Leal Neto is researcher at Nuclear Energy Research Institute (IPEN) from the Brazilian Nuclear Energy Commission (CNEN) since 1984. 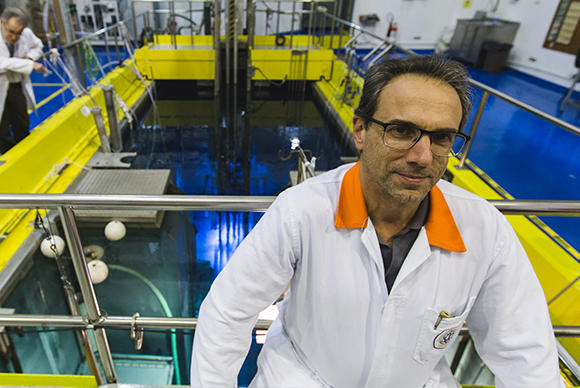 He is currently supervisor and professor of the graduate Nuclear Technology course from University of São Paulo (USP). He holds Doctor (1998) and Master (1989) of Science degrees from USP and a BS degree in Metallurgical Engineering (Mackenzie Presbyterian University – UPM). He was adjunt professor at UPM from 1995 to 2014. Besides scientific visualization for educational purposes, currently research interests are: hydrogen storage materials, high-energy ball milling, nuclear fuel development, intermetallic compounds, powder metallurgy and microstructural characterization of materials. Hobbies: Music from movies (OST), harmony analysis and piano play. Rodrigues, A. M.; Bardella, F.; Zuffo, M. K., Leal Neto, R. M. Integrated approach for geometric modeling and interactive visual analysis of grain structures. Computer-Aided Design, 97, 1-14. Bardella, F., Doctoral Thesis, University of São Paulo (USP)’s Digital Library of Theses and Dissertations.